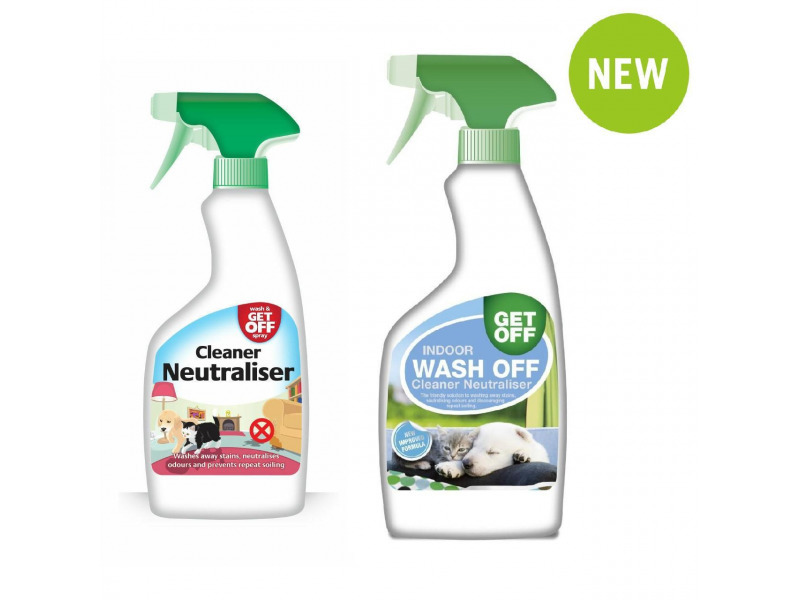 A unique formula for indoor or outdoor use, Wash & Get Off Spray Cleaner Neutraliser first cleans the area fouled by your pet, then neutralises the odour of urine in order to deter repeat soiling, as well as washing away the stains that your pet leaves behind. Within 30mins, Wash & Get Off Spray will remove the pet odour that soiling leaves behind and replace it with a pleasant citric scent. Ideal for use in and out of the home, Wash & Get Off Spray is a pleasant solution to pet soiling. Below are some recent questions we've received regarding Get Off Indoor Wash Off Cleaner Neutraliser, including answers from our team. It should be fine. The powerful formulation spray ensures troublesome animals refrain from paying visits to certain areas, without posing a threat to your pets or wildlife. Is Get off my garden dog and cat repellant safe to use where veg and other food stuffs are being grown? 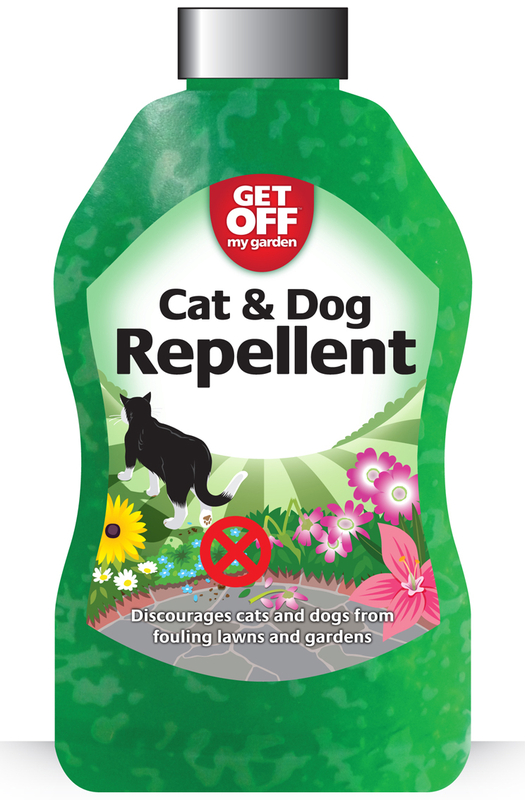 The repellent is safe to use around fruit and vegetable patches, although it should not be applied to the plants themselves, just around where the plants are and where the animals you are trying to deter visit..
Is the get off my garden product safe to use in a garden where children will be playing? This is safe to use with children and is safe for all other animals.